Can a passenger sue uber for an accident? Can a passenger injured in an Uber accident sue Uber? How can I get compensated if I was in an Uber car and the car got into an accident? Can I sue Lyft if I got hurt in an accident while a passenger? Taxi services have been in existence for decades, and their insurance policies have been reflective of normal business and employee standards. Accidents that happened to taxis had the potential to allow passengers to easily collect damages; now, however, rideshare services have changed that landscape. Uber and Lyft drivers are dubbed third-party or independent contractors and not actual employees; their services are said to be provided of their own wills. Businesses are not liable for any actions, accidents, or injuries of third-party contractors. As a result, the companies attempted to declare that any accidents that came about should be covered by the individual driver’s auto insurance policies, but these policies are seldom able to award enough damages to an injured passenger to cover all necessary expenses. Therefore, laws were passed that required rideshare companies to cover drivers so as to protect both them and their passengers. If a driver is not working, his own personal auto insurance is in effect; however, if he is working but is by himself and has not yet picked up any passengers, he has additional coverage by uber. However, if a driver is on the clock and has a passenger in his car, Uber has a policy that covers an accident and injuries in an accident for up to $1 million. A car accident can occur any number of ways, but the important part is negligence of a driver. More often than not, if an Uber or Lyft driver is not the negligent one in a crash, your chances at a settlement are greatly reduced, if you do manage to get compensation at all. This is because the companies will argue that their drivers had no part in the accident, and neither party should be responsible; the burden of paying out any damages should rest on the shoulders of the negligent party, or the other driver. In the cases of negligent rideshare drivers, they may have made a turn without signaling, been speeding, carelessly passed another vehicle, ran a stop sign or a red light, or simply did not pay attention to the road and other vehicles. These negligent actions can cause accidents that have a wide area of effect, including on all drivers and passengers and surrounding people and property. Common injuries sustained in car accidents include whiplash, concussions, broken arms and wrists, sprained knees and necks, broken legs, lacerations, cuts, bruises, scrapes, swelling, penetrative wounds, internal bleeding, and, in the worst cases, paralysis, comas, and even death. Car accidents are fickle occurrences: a low-impact crash may be enough to severely injure a person’s back, while a head on collision may cause no injuries to anyone. You can file a personal injury claim against an individual or a business if the responsible party completed four actions: owing you a duty of care, breaching that duty of care, causing an accident due to that breach, and resulting in actual physical harm to your person because of that accident. Thus, if a driver was negligent in his duty of care to you by running a stop sign and causing an accident in which you broke your clavicle, you would have ample grounds to file a personal injury claim. As an Uber passenger or a Lyft passenger, you are entitled to restitution in the event of an accident. Depending on the circumstances of the accident, you may be able to file a personal injury claim against both the driver of the vehicle as well as the rideshare company itself. In either case you are eligible to receive various types of damages for your injuries. Economic Damages: If you have been hurt in an accident, you can collect economic damages that allow you to be reimbursed for any monetary losses. This includes medical expenses, such as hospitalization fees, ambulance transportation costs, medication, surgery fees, and physical rehabilitation. Additionally, if your injuries were severe enough that future medical treatment was deemed necessary by a doctor, you can collect further compensation to cover those damages. Besides medical expenses, you can be reimbursed for lost or damaged property; although you were not driving your own car, you may have had a fair amount of belongings with you, such as a backpack with personal items or a purse with your essentials. If your phone, laptop, school books, briefcase, and documents, or any other related personal items were damaged in an accident, you can sue Uber or sue Lyft to be reimbursed. Further, your injuries may be so severe that you cannot go to work for some time, or you cannot complete your job duties with the same accuracy or speed that you could before. Because of this, you can seek additional compensation for lost wages; you should not be penalized with a loss of income because you were rendered unable to work due to the fault of another party. Your wages can be recovered from both the past and the future; much like medical expenses, you may not be able to return to work if you have upcoming surgery or treatment, and you deserve to be compensated. Non-economic Damages: Non-economic damages consist of anything that cannot be recovered monetarily; generally, they are known as pain and suffering damages. Pain and suffering includes any emotional or psychological hardships that come about in the wake of an accident, such as increased anxiety, fear, PTSD, or mental anguish. An accident while riding as a passenger in an Uber or Lyft vehicle may cause you to be fearful of getting in a vehicle with a stranger, which can negatively impact your life. Punitive Damages: If your driver acted with gross negligence, a competent Lyft passenger accident attorney or Uber passenger accident lawyer will be able to help you get punitive damages. Punitive damages are awarded to further punish the responsible party; civil courts do not dole out criminal punishments and jail sentences are not possible to be pursued, so additional monetary compensation can be given out in that stead. A driver who was intoxicated, on his phone, or clearly driving with no regard for the safety of his passenger or other drivers on the road can be said to have acted with gross negligence. Punitive damages can be hard to argue for, however, and only skilled attorneys will be able to garner them for you. Rideshare service companies need to be held responsible if their drivers cause accidents that harm passengers. They should not be absolved of liability because they contend that their drivers are independent contractors. The right Lyft passenger injury lawyer or Uber passenger injury attorney will be able to get you the compensation you deserve by fighting for your rights in a court of law. Contact Kenmore Law Group today to talk to an experienced Los Angeles attorney who will give you all the information you need on filing a personal injury claim against Uber or Lyft. You will be made aware of the litigation process, what you can earn, and whose liable to compensate you for your injuries. This free consultation is completely confidential and informative, and we invite you to ask us whatever questions you so choose. 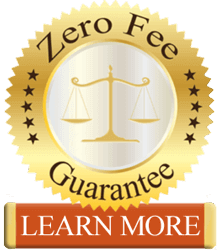 Not only do we have some of the most aggressive and skillful lawyers in Los Angeles, but our firm abides by a zero fee guarantee on all cases we take on – you do not pay us any money for our services unless we win your case. Out of pocket expenses are costly, and you should not dip into your savings if you need legal representation. We believe all people have a right to be represented by an adequate attorney, and you should not be any worse for wear by requesting that representation. 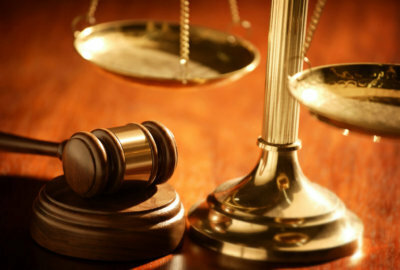 We collect our fees only after we win your case and net you a settlement. If we don’t win, you don’t pay. To begin filing a personal injury claim against a rideshare service, call Kenmore Law Group today.